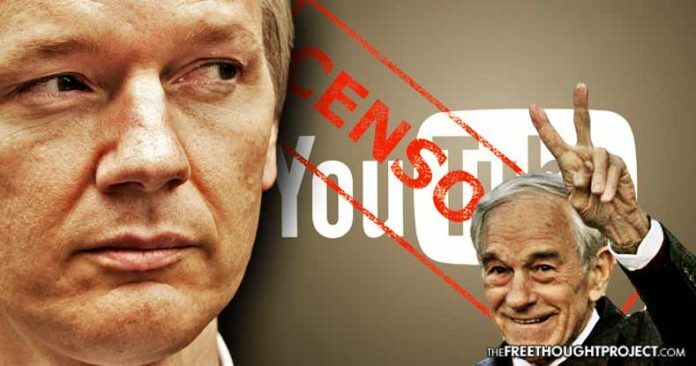 Julian Assange just blasted YouTube by providing proof they are soft censoring peaceful messages from Ron Paul calling out illegal war. It's turning off the comments, embeds, etc too. Everything possible to strangle the reach without deleting it (which could see lawsuits). What's interesting about the new method deployed is that it is a clear attempt at social engineering. It isn't just turning off the ads.